The operator of these domains and websites takes the protection of your personal data very seriously. 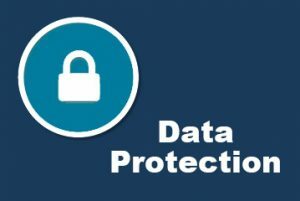 We treat your personal data in a confidential manner, in accordance with all applicable data protection laws and regulations and in accordance with this statement, at all times. The use of our websites is normally possible without providing any personal data. If any personal data, such as your full name, mailing address or email address, is collected via our pages, it will only occur on a voluntary basis. Any information that you volunteer will never be shared with any third parties without your express consent. Please note that transmission of data via the Internet, such as communicating via email, can involve security gaps over which we have no control. Therefore, complete protection of any data accessed by third parties is not feasible. Our websites integrate plugins from the social network Facebook. These plugins are developed and maintained by Facebook Inc., 1 Hacker Way, Menlo Park, CA, 94025, USA. The Facebook logo, the Like button and all other Facebook plugins are easily recognizable where integrated on our pages. An overview of the Facebook plugins we use can be found at https://developers.facebook.com/docs/plugins/. When you visit our pages, the Facebook plugin creates a direct connection between your web browser and the Facebook server. Facebook will be informed that you have visited our site with your IP address. If you click the Facebook Like button while you are logged in to your Facebook account, you can link the content of our pages to your Facebook profile. This allows Facebook to associate your visit to our website with your Facebook user account. As the provider of the webpages accessed, we do not receive any knowledge of the information transmitted between you and Facebook. For more information about this scenario, refer to Facebook’s privacy statement at https://www.facebook.com/policy.php. If you prefer that Facebook not associate your Facebook account with your visit to our webpages, please log out of your Facebook user account. Regarding privacy concerns, your IP address will have previously been abridged by Google prior to us having access to that information via Google Analytics in accordance with laws in your country. Only in exceptional cases will the full IP address be transferred to a Google server and stored there. On behalf of the site operator, Google uses this information to evaluate your use of the website, compile reports on website activity, and provide other services related to website usage and Internet usage relevant to the website operator. The IP address provided by your web browser as part of Google Analytics will never be merged with other Google data. You can prevent cookies from being created, written to and read by changing your browser settings accordingly. Please note, however, that cookies are a necessary tool to ensure an optimal user experience. If you choose to disable cookies, you may not be able to fully utilize all the functions of this website. In addition, if your concern is Google Analytics, which is also used by this website, you can prevent Google from collecting and processing your data, including your IP address, as well as tracking your usage by downloading and installing an official plug-in, which can be found at http://tools.google.com/dlpage/gaoptout?hl=en. Any information about your use of this website, including your IP address, as well as information generated by cookies and web beacons, are transferred to a Google server in the USA and stored there. This information may be passed on to Google by Google, but Google will never merge your IP address with other data that it collects and stores. You can block the installation of cookies by your web browser software accordingly. Note that if you choose to disable cookies, you may not be able to fully utilize all the functions of this website. Through your access of this website, you implicitly agree to the processing of usage data by Google in the manner and for the purposes discussed above. Our webpages integrate Google +1 features. The provider of this service is Google Inc., 1600 Amphitheater Parkway, Mountain View, CA, 94043, USA. The Google +1 button lets you share information worldwide, and it provides you and other uses with personalized content from Google and its partners. Google stores the fact that you gave +1 for particular content as well as information about the page you were visiting when you did so. Your +1 can be viewed as an event, along with your profile name and photo, in Google Services, which can be accessed in search results, your Google profile and elsewhere on websites and Internet ads. Google collects information about your +1 activities to improve Google services for you and others. To use the Google +1 button, you must have a Google profile set to public and which at least exposes the name chosen for the profile. This publicly exposed name is used for all public-facing Google services. In some cases, this name can also be used to replace another name that you used when sharing content through your Google Account. The identity of your Google profile can be displayed to users who know your email address or have other identifying information from you. You can change your Twitter privacy settings in your Twitter account settings found at https://twitter.com/account/settings. You have the right to free information concerning any personal data stored, including the origin and recipient, purpose of data processing and right to correct, block or delete. To this end as well as to answer any questions or concerns you may have regarding the subject of personal data, you may contact us at any time at the email address given in this document. Most webpages, including ours, employ cookies to store data and optimize the user experience. Cookies are small text files that are created and edited by your web browser and stored on your computer or device. Cookies serve to make our services more user-friendly, effective and safer, and they cannot damage your computer and contain no viruses or other malware. Most of the cookies we use are session cookies, which means that they are automatically deleted once your visit to our site concludes. Other cookies may remain on your device until you delete them. These cookies allow us to recognize your browser the next time you visit us. Cookies are generally installed automatically by your browser, but you can set your browser to alert you when cookies are created and to only allow them upon your acceptance. Note that if you restrict cookies for our website, then the functionality of our service may also be restricted. Note that this information cannot be attributed to a specific user, and this data is never merged with other data sources. We do, however, reserve the right to review this data at a later time if there is evidence of unlawful use to which this information would be relevant. If you send us inquiries by means of a contact form, your information from the inquiry form, including the contact data you provide there, will be saved by us for the purpose of processing the inquiry and handling any subsequent queries. We will never pass on this data without your consent. We hereby object to the use of any contact data published within the scope of this document for the transmission of advertising and information material not expressly requested. The operator of these domains reserves the right to take legal steps in the event of unsolicited advertising information, such as spam emails. If you would like to receive the newsletter offered on our website, we require an email address as well as information that lets us verify that you are the owner of the provided address. You must also agree to receive the newsletter. No further data is collected. We use the data requested for the sole purpose of providing you the requested content and never pass it on to any third parties. Once provided, you may revoke your consent to the storage of that data, access to your e-mail address and use of the address for sending the newsletter, at any time. A link to opt out is provided in each edition of the newsletter to make revoking your consent more convenient.